Care Packages for Soldiers: Christmas care packages - Iraq Arrival ! Christmas care packages - Iraq Arrival ! 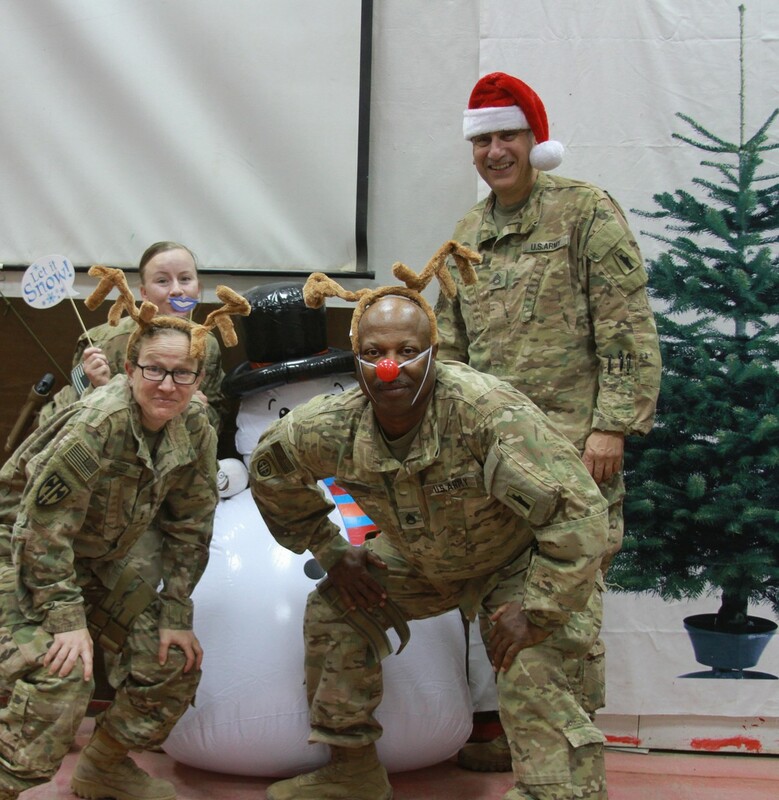 Many of our 2015 Christmas soldiers care packages have been delivered to our U.S. troops overseas. Below are fun photos of some of our Army recipients in Iraq. 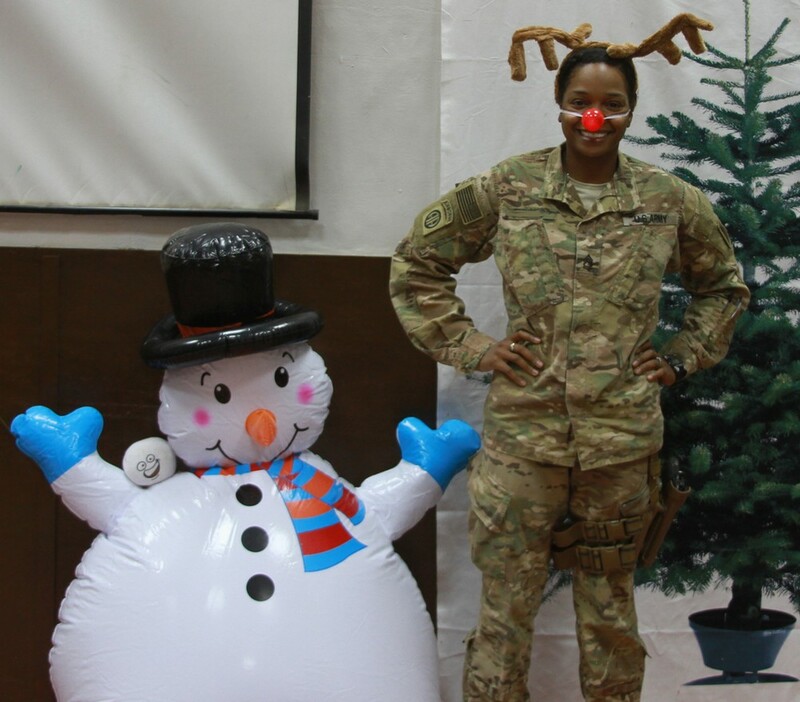 They are among the roughly 250,000 American troops who are deployed overseas during this holiday season. We know these troops work very hard, and we are thankful for their dedication in protecting our country. The volunteers, donors and supporters of the Airborne Angel Cadets of Texas are proud to support these troops with care packages. Some of the great U.S. 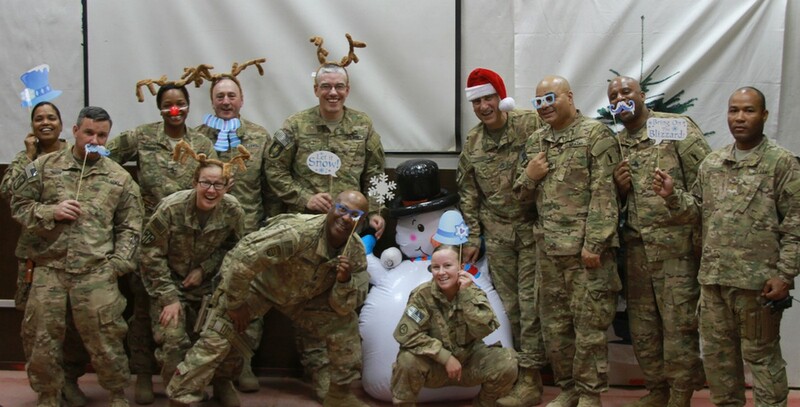 Soldiers who are receiving our Christmas care packages. U.S. 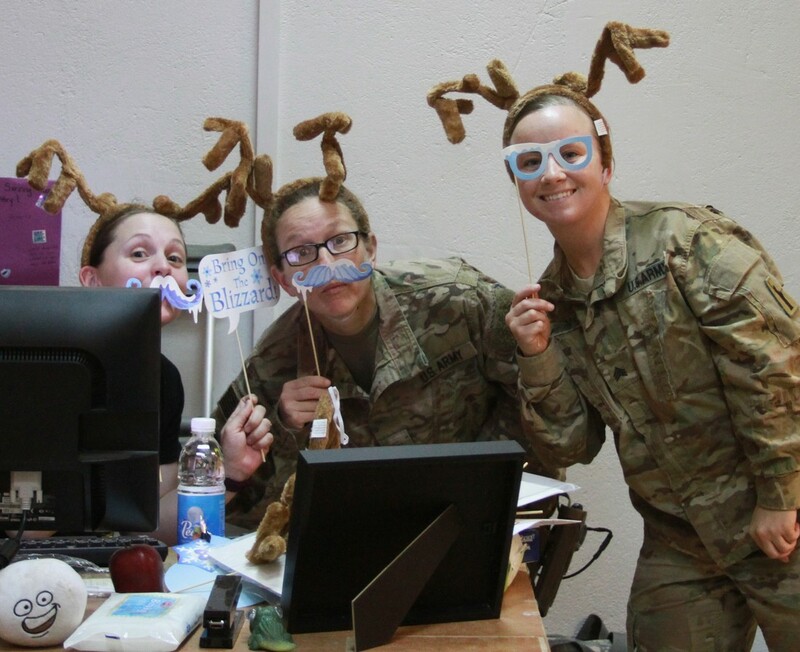 Troops having a bit of fun with Christmas items! 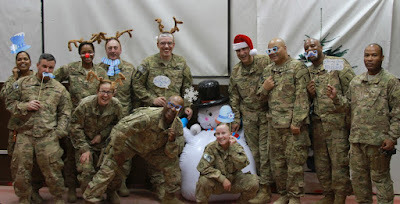 Soldiers in Iraq posing with Christmas donations! 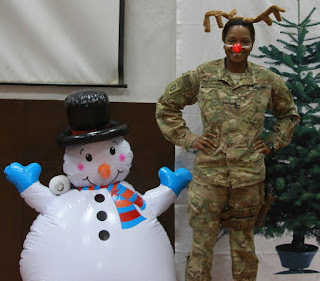 Smiling Soldier in Iraq with Christmas tree and Snowman!